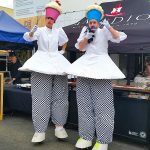 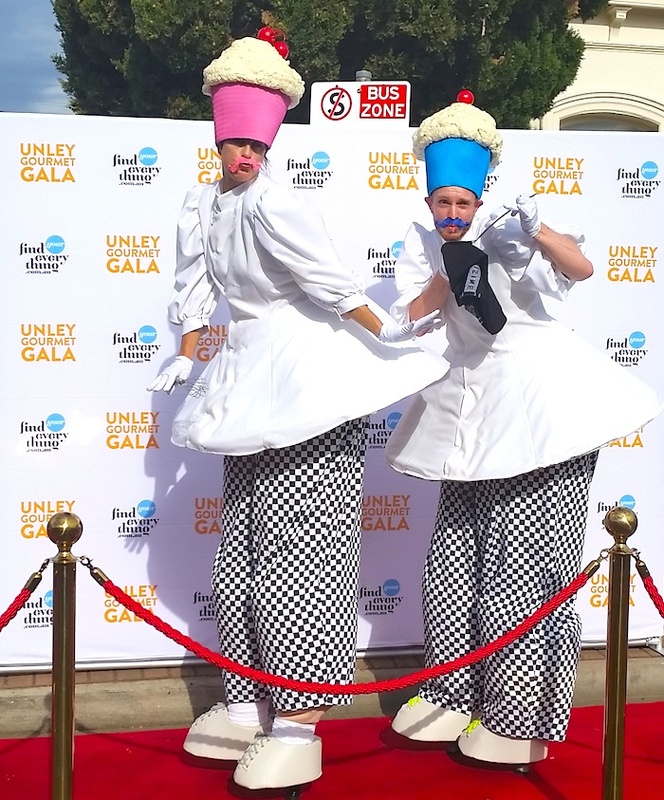 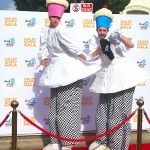 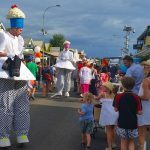 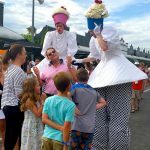 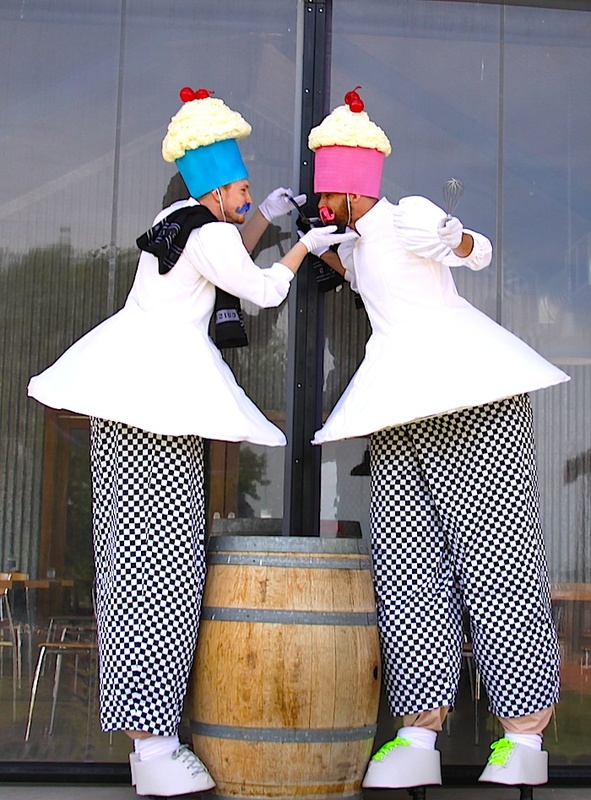 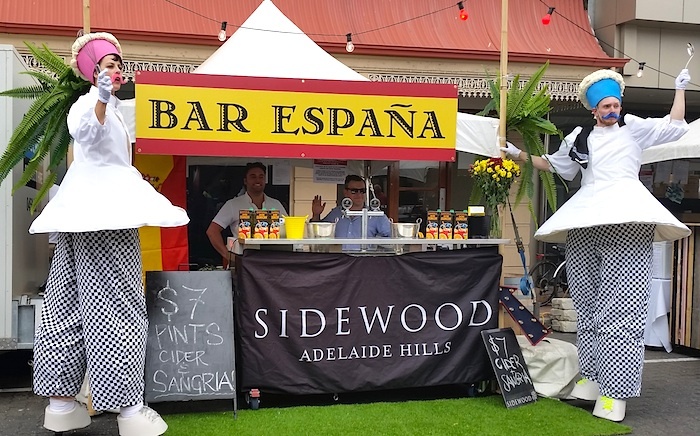 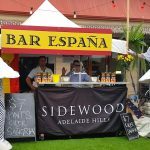 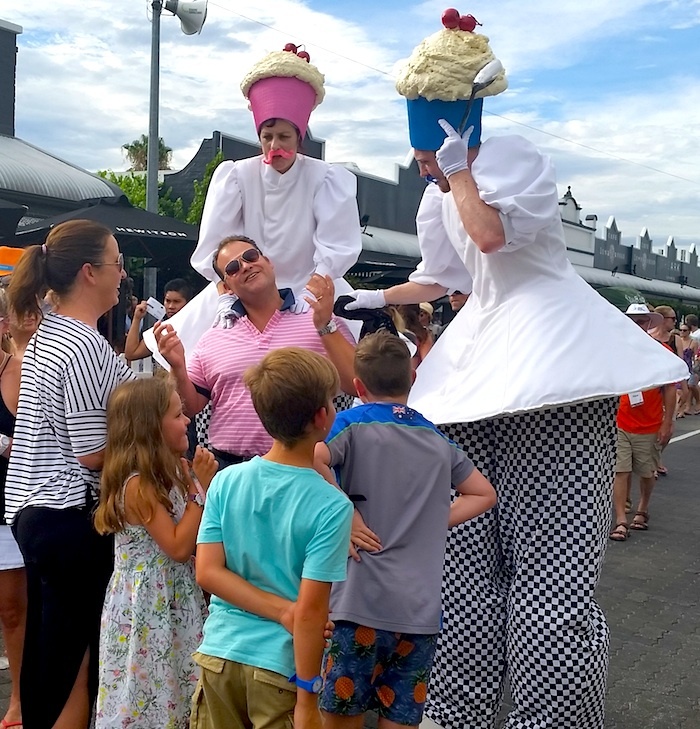 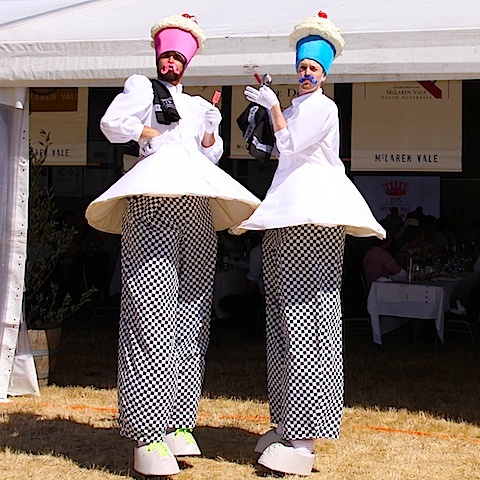 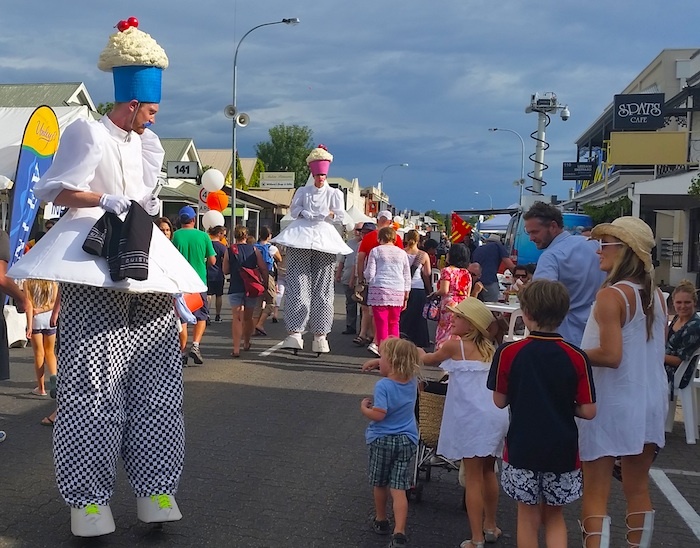 Comedy Stilt Chefs - ""
Meet our latest Slack Taxi stilt walker characters – comedy Stilt Chefs for food & wine festivals and more! 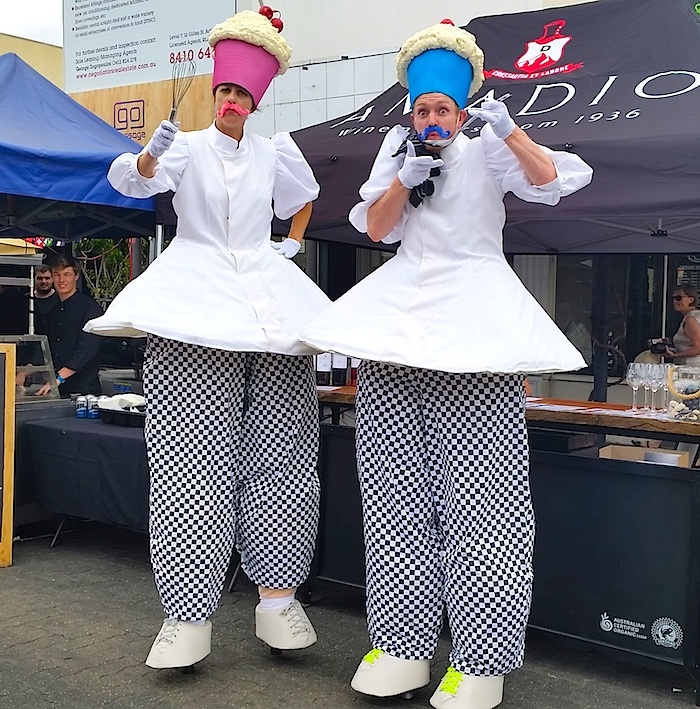 With hats resembling huge cupcakes complete with a cherry on top, these culinary experts will have your audiences eating out of their hands. 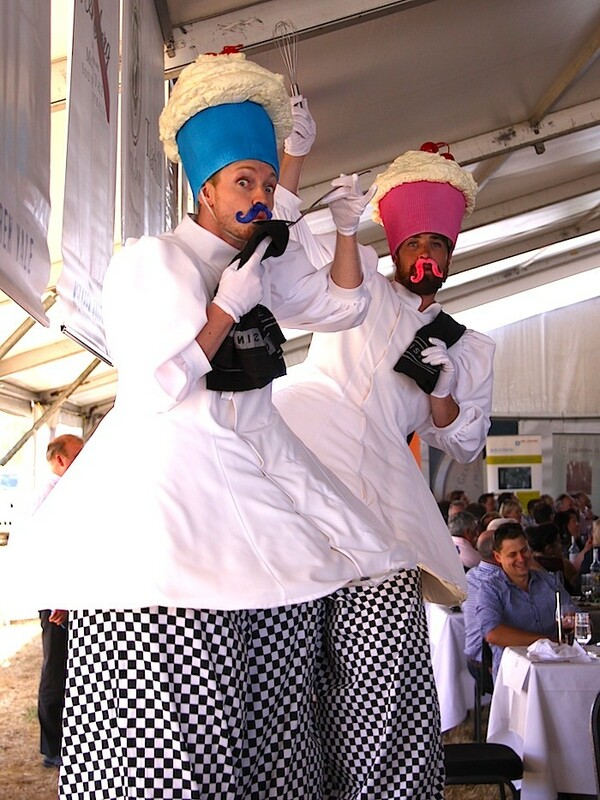 The Chef stilt walkers are as charming as they are ridiculous. 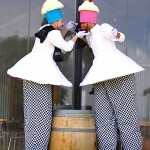 Two are available. 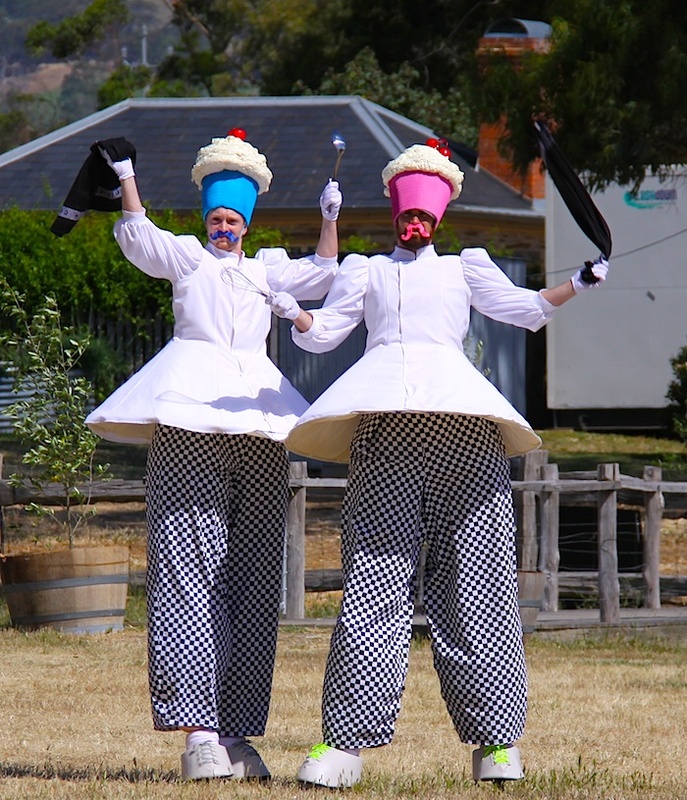 Performed by leading Australian circus, stilt and street performers and based in Adelaide. 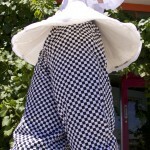 Slack Taxi owned and transportable to performers in other states. 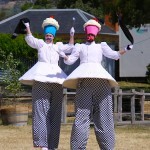 Created from our original design that also forms the Stilt Cricketers, Angels, Ballerinas and Vintage Swimmers. 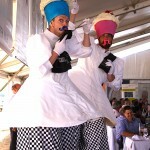 Visually spectacular, fun entertainment for any event or festival with food!